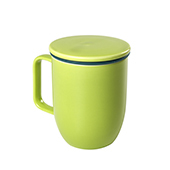 Modern mug with lid and infuser. 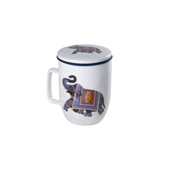 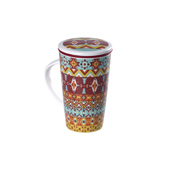 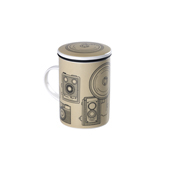 Porcelain mug with modern design and exclusive Tea Shop design. 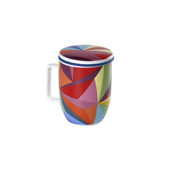 Join the Tea Shop world! 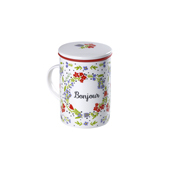 There is nothing better than enjoying a nice hot tea in winter or a cool tea in summer. 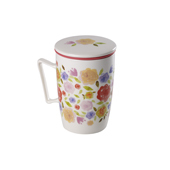 This is why our mugs for tea are made from materials with low thermal conductivity, such as porcelain and glass, as well as other materials. 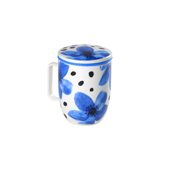 From our wide selection of porcelain mugs that you can find now at Tea Shop, you can purchase your porcelain mug. 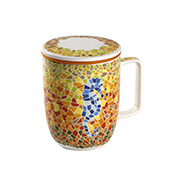 Its distinguishing feature is the interior part of the mug, which is usually concave or flat, and may have an additional edge. 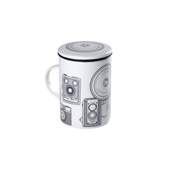 In this way, it reduces thermal contact with other surfaces. 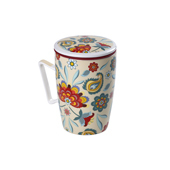 Another important characteristic of the porcelain mug is that its handle helps to keep the hand from coming into contact with the mug in the case of hot tea or, in the case of cold tea, it will stop it from heating up. 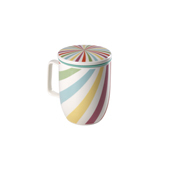 The right colour for these mugs is white because it allows you to appreciate the colour of the tea in all its splendour. Similarly, in this section, you can find all Tea Shop's exclusive models of porcelain mugs so that you can choose the one you like the most. 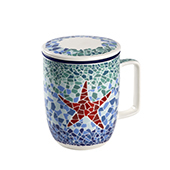 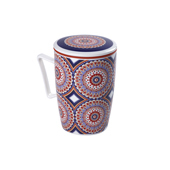 Discover our selection now and find porcelain mugs with different capacities and our brand's exclusive designs. 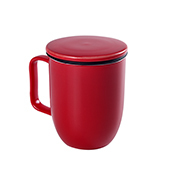 In addition, our porcelain mugs come with the lid and a stainless steel filter with a silicone coating. 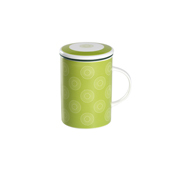 This will provide you with the utmost convenience when drinking your delicious tea at home.